It was the summer of 1973. I was eight and spent most of my school vacation at my grandmother’s house that year. What I remember from that summer was one thing: the movie The Time Machine. I must have watched it a dozen times at least. I was fascinated by how the passing of time was depicted through the glass ceiling in the traveler’s workshop. I loved the Eloi. I was scared of the Morlocks. To this day it still is (maybe because I’ve seen it as a kid) one of my all-time favorite movies. Fast forward 40+ years to 2014. 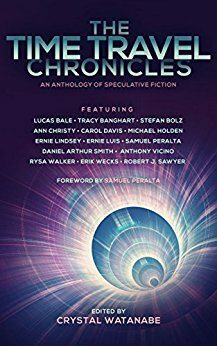 I had been writing for a while and had the distinct pleasure of being included in Sam Peralta’s The Time Travel Chronicles with a short story called The Traveler. 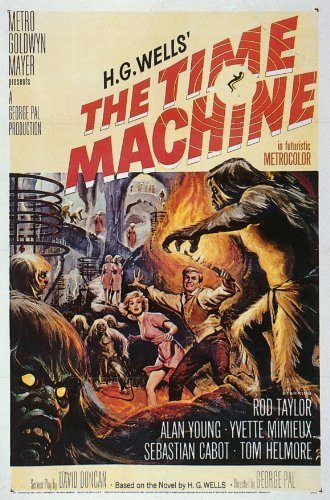 It was meant, in part, as a homage to A.G. Wells’ novel The Time Machine, the basis for the movie. As it so often happens, the story took on a life of its own and I found myself bawling while writing the ending. It doesn’t happen often that something of your own writing grabs you so deeply. I could only wish that readers would have the same reaction. The Time Travel Chronicles came out in November of 2015. At roughly the same time I began to write the screenplay for it. I’ve been studying screen writing for a while and felt that it would make an awesome little indie movie one day. Knowing how impossible it is to actually sell and/or option a script (out of 40,000 registered scripts, only 400 get optioned each year), I didn’t have high hopes that it would go anywhere. In March of 2016, when the contract with Sam Peralta was up, I published The Traveler on its own as a short. The e-book and paperback went on Amazon. I also published a pocket edition that I handed out to people in the hope they would pass it on to the next person once they had read it. I was happy that Jillian liked it but thought that she already had a copy of the book. I wasn’t sure what she meant with “I want it.” We talked back and forth until I finally got it. She wanted to option the story. She had been working in location scouting for two decades and had made many great connections in the movie business over the years. Now wanting to branch out on her own and become a producer herself, her first movie, she felt, should be The Traveler. Fast forward a few more months to April 2017. Today. I signed the option for The Traveler. I can’t imagine a better home for it. Jillian and myself have a similar vision for the movie (which is basically to make people bawl their eyes out during the ending and then come back for seconds :-). As it so happens, Jillian, together with her producing partner Anjul Nigam (Growing Up Smith and others), is optioning both the short story and the screenplay. The latter has been a very long time coming as I started screen writing in the early 2000s and have tried for one of my scripts to be optioned since then. 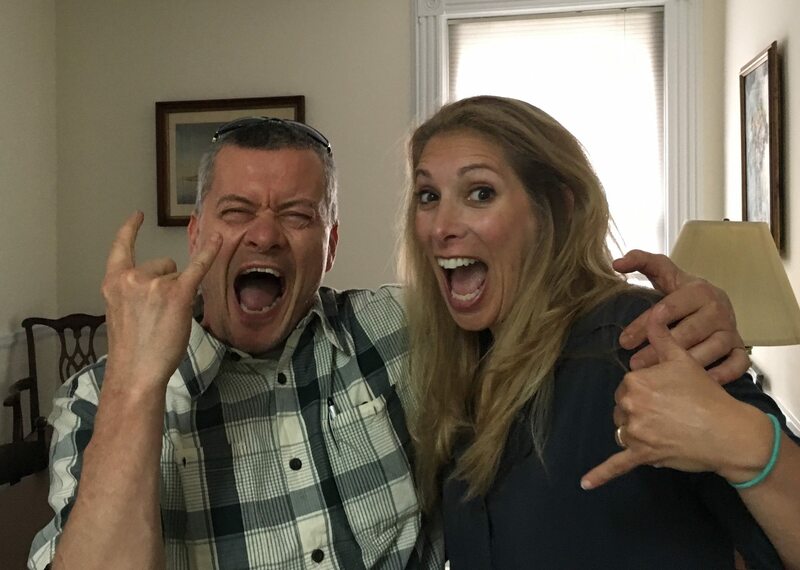 This is Jillian and myself after the signing of the option agreement. I will post updates here on how things are going. Please sign up for my newsletter if you wish to stay informed on the progress. 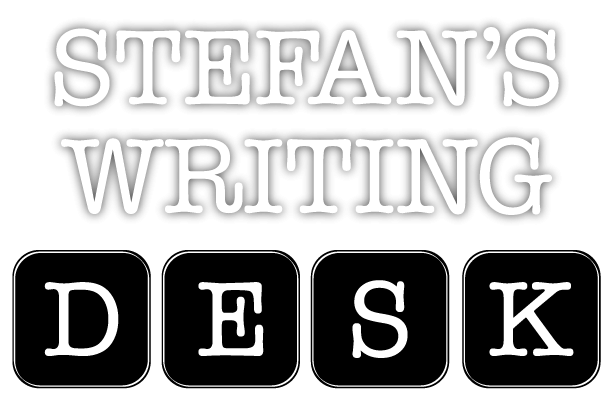 Way to go Stefan! Looking forward to seeing how Jillian, Anjul and you carry through the vision and promise of The Traveler. The best *is* yet to come! Very, very cool! Congrats, Stefan! That’s incredible news Stefan! Congratulations!